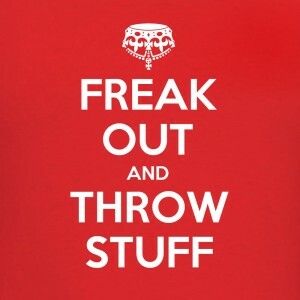 What causes you to FREAK OUT and lose your mind? What pushes your buttons and brings out your “inner-crazy”? Perhaps it’s driving in traffic, long lines at the grocery store, or playing golf (I no longer play golf because it’s in my list of “The Top 3 Things That Will Make A Pastor Curse“). We all have things that push us over the edge, and for some of us, the trip to “FREAK OUT LAND” is a much shorter distance than it should be. Our family’s last dog was with us 17 years and in her final months she could no longer control her bodily functions…it wasn’t her fault, but for some reason the occasional accident on our floor caused me to lose my ever-loving mind. It never failed-I would wake up in the middle of the night and step right in the mess. Stepping in dog poop at 2am pushed my buttons quickly and because of my over-reaction, everybody in the house heard my displeasure. It’s embarrassing to admit how that made me FREAK OUT, but truth be told, we all have things that bring out our inner-crazy. This past Sunday at PC3 New Bern we began a new series entitled FREAK OUT. It’s a series that our Wilmington & Leland campuses did a while back and it had a tremendous impact in the hearts and lives of people. In fact, it had such an impact that as a newer campus we felt compelled to do the series this summer. If you have some time, watch the original series. To FREAK OUT means that you are giving up what you can control in an effort to control what you can’t. Most of us spend lots of time and energy trying to control the things that we can’t, instead of trying to control the one thing that we’ve been commanded to control. “Like a city whose walls are broken through is a person who lacks self-control.” (Proverbs 25:28) Controlling yourself…now there’s a challenge. If we cannot control ourselves, then our hearts and minds will always be vulnerable and susceptible to unhealthy & unnecessary drama. If we’re all being honest, we probably spend way more time trying to control other things besides ourselves. And unfortunately, when we try to control things beyond our own control we quickly become self-absorbed and lose all self-awareness-to FREAK OUT is to CHECK OUT. We check out emotionally & relationally when we throw a fit and turn the spotlight on ourselves. The result? We lose our influence with others because trust gets destroyed. 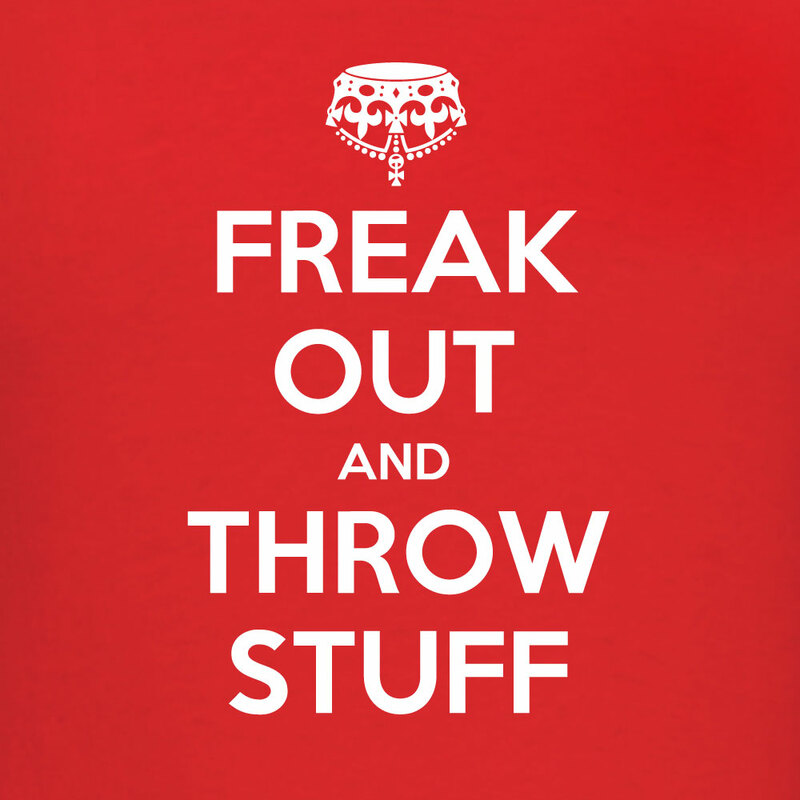 Have you ever considered how your FREAK OUT moments affect your friends and family? Before long, they will feel as if they are walking on eggshells around you, waiting for the volcano to blow (insert your favorite U2 or Jimmy Buffet song here). If your friends and family have to try and predict your mood swings in order to have a conversation with you, then you’ve lost all trust and influence with them. Without trust and influence relationships are doomed to fail. If we want to experience life and relationships to their fullest potential then we must learn to control the one thing we actually can control-ourselves. Self-restraint is possible, but it must be taught and practiced on a regular basis. Here’s a practical way you can begin decreasing your FREAK OUT moments: Instead of blowing up in the moment, try blowing up the moment. Take a step back, think about how your overreaction damages yourself and others. Restrain yourself. Walk away. Don’t be so quick to click tweet/post/publish/share/reply/send. Sleep on it. Give yourself some time to simmer down. It’s amazing how much better we can handle our frustrations and conflict simply by allowing a little time to cool off. Others will see you as more stable and approachable & you’ll find that you will handle things much more objectively, gracefully, and lovingly…ultimately, much more Christ-like. Good stuff. i pasted Proverbs 29:11 in my notes. Then I will read it back on a voice memo. I remember verses much easier if I can listen to the words several times through out the day. Now, why I told you that I’m not sure. The original thought was I wish I had been disciplined enough in my younger years to practice that verse. Thanks so much for sharing that. It’s amazing how something so practical can change our lives. I’d love to catch up…it’s been too long. I’ll give you a call later today. By the way, can you ask Carlene to heat up my Lasagna? HAHAHA!!!! Perfect timing, Danny! ALWAYS! ALWAYS! ALWAYS, SPOT ON!!! The Holy Spirit is funny like that! This series is perfect timing for me…he obviously knew I needed it!